Check out the newsletter in your browser. The Only in Seattle team would like to thank the business district managers, City colleagues, BIA representatives, business owners, and all attendees that joined the summertime lunch social at Tai Tung on Wednesday, 8/29. Over 45 attendees from all throughout Seattle attended to connect, listen to Special Events Chair Chris Swenson speak about upcoming engagement opportunities regarding the special events cost recovery model, and eat delicious food from Tai Tung; those egg rolls were delicious! 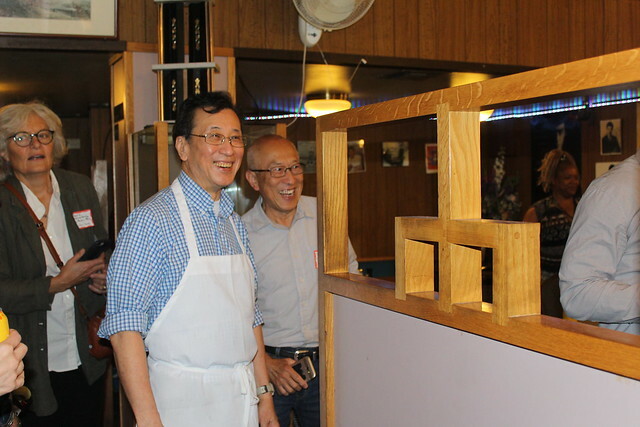 A very special thank you to third generation business owner, Harry Chan and his family for hosting us and providing the food. Don’t forget to think about them for your next event, or dinner outing, and compliment them on their new sign, courtesy of SCIDPDA, and OED. Only in Seattle Request for Applications: The Only in Seattle team announced the upcoming 2019 Request for Applications (RFA) release date of mid-September (check our website for updates). The OIS team is hoping to give applicants at least six weeks to complete the application and consult with staff for questions and support. The RFA will be due on Monday, October 29 and will include a draft code of conduct for inclusion in 2019 awardee contracts. We are asking for feedback on the OIS RFA process and the code of conduct (attached). Take the survey today! Special Events Chair Announcement: In Chris Swenson’s brief presentation, he mentioned resources, including the Special Events Permit Fees, Process and Policy Feedback handout, and the October 25th seminar, “Learn How You Can Take Your Event To The Next Level And Be A Part Of The Vision Of The Changing Landscape of Special Events,” produced by the Washington Festival and Events Association. Chris will also be reaching out to those that indicated they are interested in engaging with the Special Events committee directly to provide input to the City’s special event fee structure and process. You can also follow up with Chris directly at chris.swenson@seattle.gov. Thanks again, Chris for your thorough presentation! We look forward to seeing you at the next peer networking event in September. Sign up for the OIS eNewsletter and read the Bottom Line blog for the latest on the next Peer Networking events, RFA information and more. Thank you again to all the participants and check out photos from the event below (credit Wynn Barnard). Here in the Office of Economic Development, we envision Seattle as the most innovative and inclusive city to start and grow your business and your career. I wanted to take a look back on our first quarter, and invite you to engage with us as we strive to support you in your business and career goals. We have too many highlights to mention to date, but here are a few of my favorites! Small Business Advisory Council: We were delighted to help stand up the Mayor’s Small Business Advisory Council, a group of 27 committed small business owners from across the city representing the diversity and richness this community, ranging from solar panels to hula skirts, and various stages and sizes of business. Knowing that small businesses are collectively the City’s biggest employer (over 200,000 are employed in establishments with 50 or fewer employees), we are exploring how the City can better support them through programs, policies, processes and resources. Check out the inaugural group here, and if you have ideas you’d like this group to review, please email us at oed@seattle.gov. Mayor Durkan joined by members of the small business community at Elliot Bay Book Company. Only in Seattle Grant Awards: Our small businesses are not just an essential driver of our economy, but part of the cultural fabric that makes our unique and sometimes quirky neighborhood business districts, and Seattle itself, so special. This year OED was able to award $1.2 million in grants across 23 neighborhood districts, as “seed funding” towards community visions of vibrant and thriving districts. Special thanks to Theresa Barreras for her leadership in supporting our local stakeholders, as they create a sense of place and promote ownership in their communities. Thanks too to Estela Ortega and El Centro de la Raza for hosting a fantastic celebration! Life Sciences, Biotech and Global Health Roundtable: Seattle has some amazing assets in life sciences: Reuters rated the University of Washington the most innovative public institution, we have a center of excellence in immunotherapy, and with 14 times the national average of research and development talent concentrated in South Lake Union, we could very well be the city that cures cancer! For the Mayor’s first industry roundtable, Karl Stickel, our Director of Entrepreneurship and Industry, convened a group of executives across life sciences, biotech, and global health at the Fred Hutchinson Cancer Research Center (thanks for hosting!). We heard not just about the challenges facing the sector, but a wide range of innovative ideas to support its growth. We explored the intersection of tech and biotech, and the opportunity to highlight the women in this field, who were, in fact, the majority of the executives at the roundtable—let’s keep the momentum going! Please reach out if this is a group you might want to join, or have any other great ideas about supporting the sector. Mayor Durkan speaks at her first industry roundtable. Photo courtesy of Fred Hutch. Startup Roundtable: Startup Advocate David Harris pulled together an incredibly diverse and wide-ranging group of startups, investors, accelerators and incubators for the Mayor’s March roundtable discussion. With thanks to Amy Nelson and our friends at the Riveter for hosting, forward-thinking solutions included the concept of “returnships:” re-engaging working parents as they rejoin startups after family leave. One of the most surprising take-aways from the group was what they saw as an under-utilized asset: the Mayor’s megaphone in promoting our City’s startups. Have a great story to tell? Let’s make sure Pitchbook doesn’t miss Seattle on this list next year. Get in touch here. Small Business of the Month: This year, small business advocate and life-long entrepreneur Pedro Gomez has taken on the role of leading our Small Business team, and along with our empathetic and experienced advocates, has increased their presence across the City, launching office hours in every district, and amplifying the stories of the small businesses we serve. 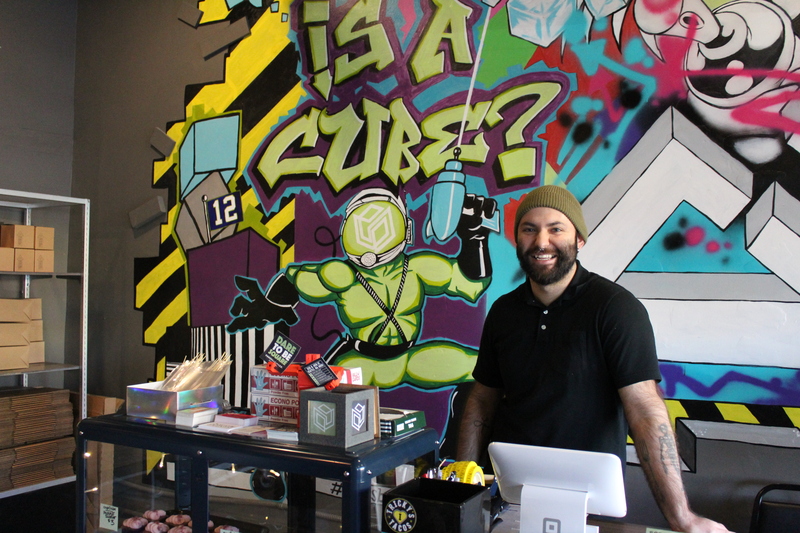 OED launched our “small business of the month” profile, and our first featured entrepreneur was Kevin Moulder of Cubes Baking Company, who hopes he can inspire “other creative thinking Mexican-Americans” and the Latinx LGBTQ community with the story of Cubes. Not only can you read more about it on our blog, but the piece got picked up by Seattle Eater! Kevin Moulder at the front counter of his bakery in Wallingford. Thanks for spending a few minutes reflecting with us, and while you can always get in touch with me here, you’ll hear from me again next quarter! The Only in Seattle Initiative is a partnership between Seattle’s Office of Economic Development, Department of Transportation and Department of Neighborhoods. The Initiative provides seed funding and support that empowers local residents and businesses to create and collaborate on shared goals. The Initiative strives to build an equitable and resilient Seattle by strengthening neighborhood business districts as vibrant centers of commerce, community and culture. The Only in Seattle Initiative has approximately $1,400,000 available annually for district grants and services to aid five strategy areas: Organization, Business Development, Marketing and Events, Placemaking, and Clean and Safe Districts. Organizational support is centered on helping local businesses, building owners, and residents develop shared priorities, collaborate on taking action and establish a structure for ongoing work. Gentrification in the Central Area is a well-documented issue—what is lesser known is how local leaders are using OIS to work together on reversing this trend. The community has been able to organize in support of black-owned businesses and community-owned spaces. Business development efforts focus on supporting local businesses and attracting new businesses that complement and serve the district. In 2011, the Ballard Chamber of Commerce asked OIS for help in facing the challenges of rapid growth and a changing economy. OIS invested in the Chamber’s multi-year effort to engage the community in reframing its future. They ultimately created a Business Improvement Area (BIA) to allow ongoing management of district events, monitor urban design and transportation, and improve community safety and health. The Chamber became the Ballard Alliance and is now ready to lead their community’s growth and prosperity for years to come. Funding for marketing and events aids the image of the business districts to draw more customers. Working together with OIS, Plate of Nations has become a lucrative restaurant event, drawing visitors from across the region to taste the wide range of cuisine offered along MLK Way. OIS has been supporting the MLK Business Association since the event’s inception, which has grown to bring over 2,500 people from 34 cities in Washington and 42 Seattle neighborhoods, with over 1,200 dishes sold. Plate of Nations celebrates the neighborhood’s diversity while directly benefiting local businesses. Placemaking projects support the beautification and activation of public spaces as well as urban design and mobility within a district. The First Hill Improvement Association (FHIA) is using OIS grant money to infuse new life in their public spaces. FHIA used OIS grant money to transform 72 columns under Interstate 5 between James Street and Cherry Street into a public art installation, among their other projects. Clean and safe activities work to ensure the district is clean, welcoming and safe for all. Canton Alley in the Chinatown-International District was historically a favorite community gathering place that changed over time into an uninviting alley filled with dumpsters and pot holes. A group of organizers wanted to revitalize the alley and worked over many years to raise the funding to do so. With the help of OIS, Canton Alley is now a safe and beautiful gathering place for the community. Have an idea for a project in your neighborhood? Ideal candidates for OIS funding are business districts with clear geographical boundaries, and one proposal per district. Organizations must have a clear plan of action, and the plan must focus on creating an immediate impact. Business districts that qualify for federal funds are also encouraged to apply. Visit Only in Seattle’s website for more information. The application for next year’s grants are due October 30, 2017 – you can apply here.